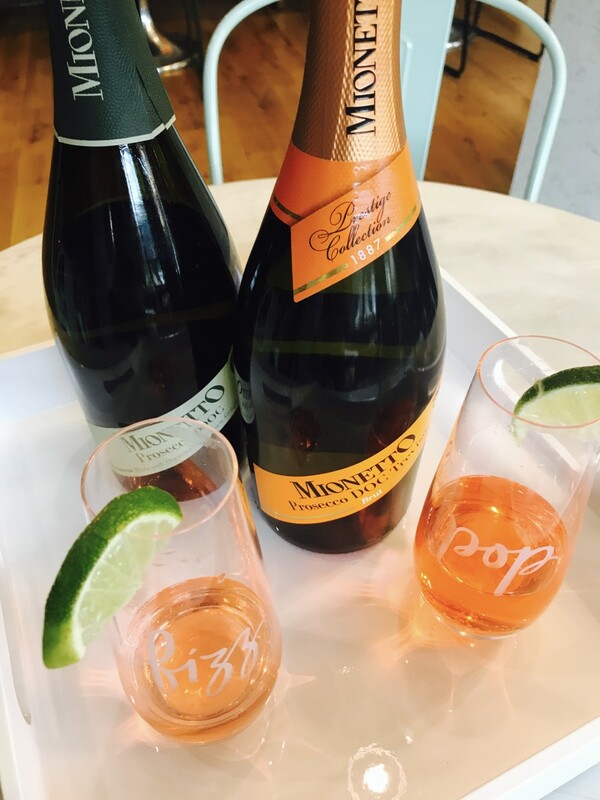 October is Breast Cancer Awareness Month, and so the ladies of Momtrends want to raise awareness and our glasses with a few pink-tinted cocktails made with Mionetto Prosecco. Sherri and I sipped for a cause this week on Facebook Live--and you can too! For the third consecutive year, the bubbly brand is touting their charitable initiative, Pink Cork For The Cause. 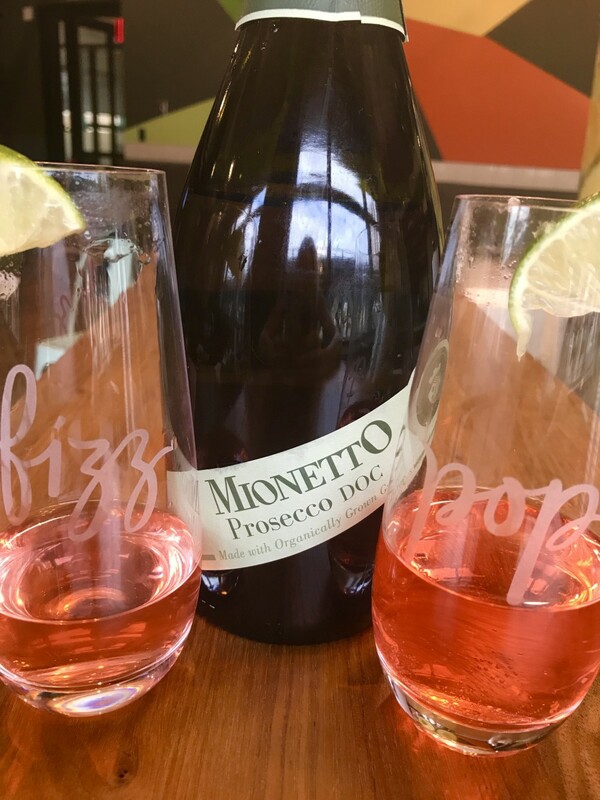 Throughout October pink corks will be hidden in bottles of Mionetto Prestige Prosecco Brut($14) and Mionetto Prestige Rosé($14), and those lucky enough to find one will win a pink 5-speed hand mixer and be entered for the chance to win a $10,000 charitable donation by Mionetto, made to the breast cancer charity of the winner&apos;s choice. Of course, not every one will score a pink corn; but we all can help bring awareness to the cause. At your next girls&apos; get together, mix up these delightful pink cocktails, and talk about openly and honestly about earlier prevention and ways to get involved. The Pretty in Pink is a unique mix of cranberry juice, St. Germain or elderflower syrup, your choice of vodka or gin, and Mionetto Prestige Organic Prosecco Extra Dry. It can be served in a coupe or martini glass and garnished with fresh cranberries or a lime peel. This is the perfect beverage to serve during a casual dinner party with friends or sip on at a lounge this October. The Pompelmo Spruzzo is a blend of Campari, your choice if vodka, pink grapefruit juice, and Mionetto’s flagship Prosecco, the DOC Treviso Brut. Combine the first three ingredients in a cocktail shaker and pour over ice in a stemless wine glass. Then, top it off with Mionetto Prosecco. For added appeal, garnish with a grapefruit slice and mint sprig. Preparation: 1. In a mixing glass, add cranberry juice, elderflower syrup or liqueur and vodka or gin. 2. Add ice and shake. 3. Strain into a coupe or martini glass. 4. Top with MionettoProsecco. 5. Garnish with cranberries or lime peel. Grapefruit slice and mint sprig for garnishGlassware: stemless wine glassPreparation: 1. Combine first three ingredients in a cocktail shaker , shake and pour over ice. 2. 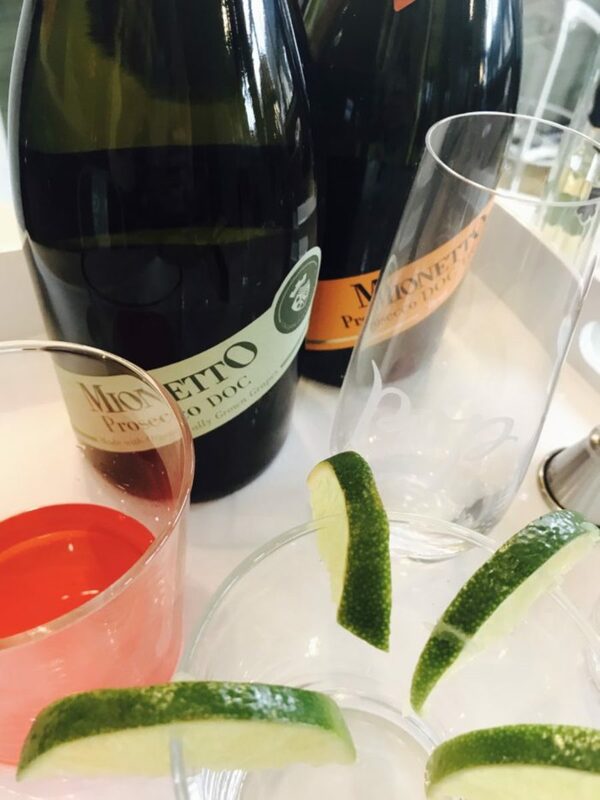 Top off with Mionetto Prosecco. 3. Garnish with a section of pink grapefruit and a sprig of mint.This is not a sponsored post. We received samples. All opinions are our own.